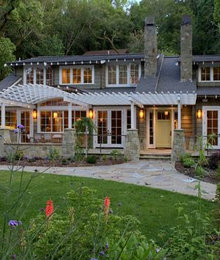 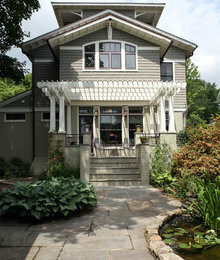 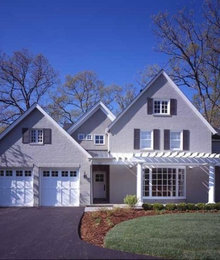 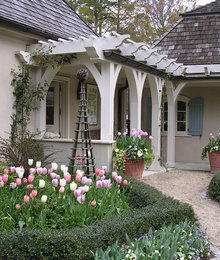 My clients asked for ideas to improve the curb appeal of their home. 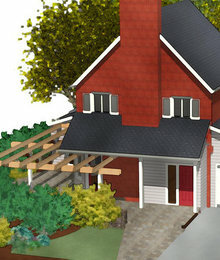 In discussions about how they live, it seemed that I could improve their lives by adding one or more garden rooms to extend the feel and reach of their small home and to provide a better flow inside and outside of their home. 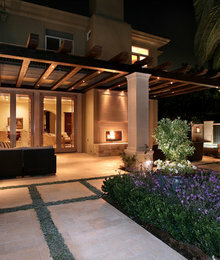 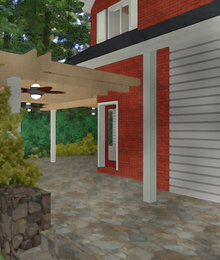 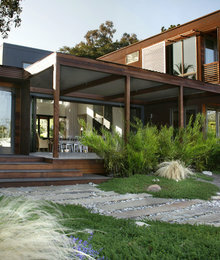 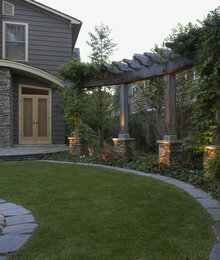 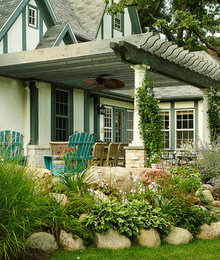 Among several ideas, one they all responded to was a front stone patio that connects a front garden room to a side den. 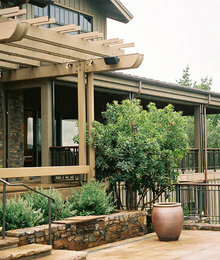 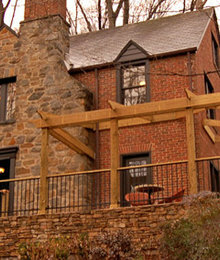 The garden room's ceiling would be a wood pergola (see first image, below). 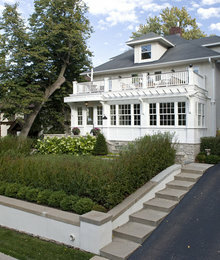 Plantings beyond a small stone wall could provide a sense of privacy and improve their views from inside the home. 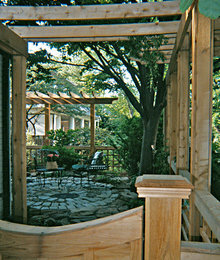 Before moving forward, the husband asked if I could show him images of other homes with pergola's and garden rooms in the front yard. 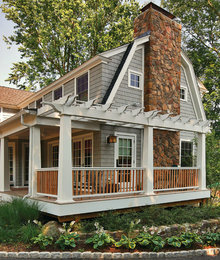 Thus, this ideabook. 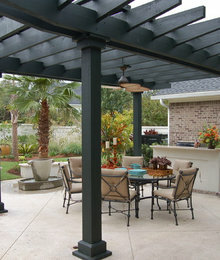 While dramatically different in style from what I've proposed, this pergola is also used to create "flow" around the house and is right off the front door. 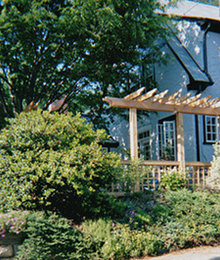 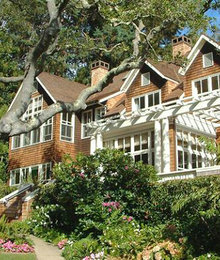 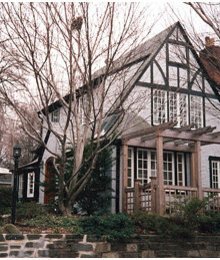 The same garden room as in the preceding photo - Viewed from further down the street in the summer. 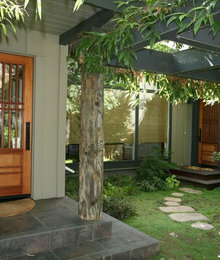 This is the Entry to Front Garden Room that we saw in the preceeding two pictures.